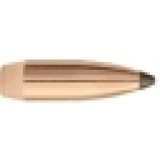 I read a review on one of the forums where someone said they were getting 2" or less groups with this bullet at 50 yds in a 9mm Luger. 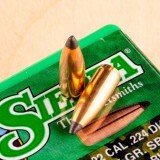 I have not done that level of load testing yet, but I chose a mid-range load with a fast powder. 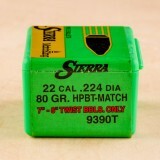 I got excellent results in a match shooting this load on timed and rapid fire (25 yd accuracy with very low recoil). 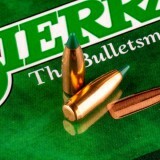 I would definitely recommend it. 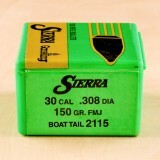 Looking forward to doing some 50 yd. 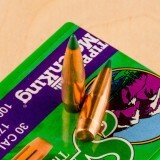 load testing soon. 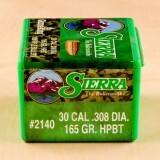 I loaded these for my 7 yr old son they flat out kill the deer. 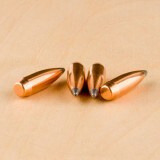 I was breaking clay pigeons with these last Saturday @ 430yds then breaking the few 1/2 pieces that were left. 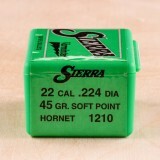 This will be my primary hunting load and maybe my match load as well for my AR! 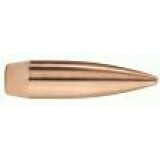 Any gun enthusiast or competition marksman who wants to fire an accurate and fast round should consider the .223 Remington. 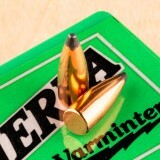 This impressive round has become one of the leading cartridges for both target shooting and hunting, and this box of 500 bullets lets you reload your empty .223 brass with high-quality projectiles. 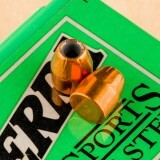 These 77-grain bullets are fast and powerful. 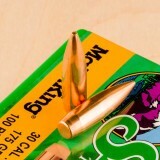 They deliver the outstanding performance you need, not only at the target, but inside the barrel. 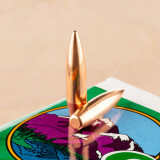 The hollow point tip delivers predictable expansion while the boat tail ensures straight, consistent trajectories. 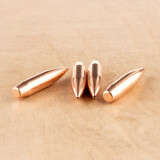 With these bullets, you’ll be able to reload your .223 cases and have the performance you need at the range. 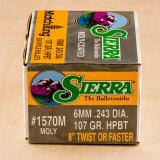 Sierra is one of the top manufacturers in the ammo industry. 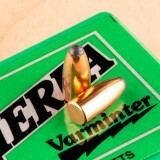 They not only have an outstanding selection of rifle and handgun reloading supplies, they also have complete cartridges for many purposes. 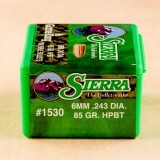 With over 160 different rifle and handgun rounds, Sierra has the ammo you need for a wide variety of pursuits. 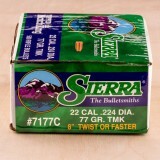 Perfect match for my 1 in 7 twist. 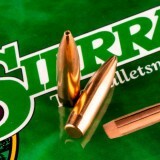 Every barrel/chamber combination likes something and this would be it! 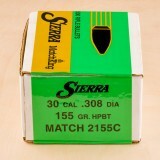 The NATO spec chamber is tough to get good accuracy but this long Sierra Match King works well with Reloder 15 and BL-C (2). 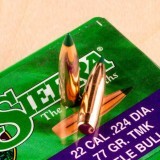 i've tried a about 4 different brands of 77gn .223 bullets. 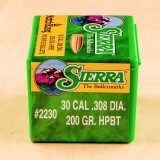 The Sierra MK work best for me. 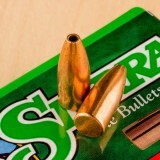 They are very consistant. 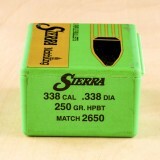 The Sierra MatchKing reputation convinced me to order these for long range target shooting. 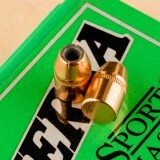 Thank you Wideners for fast shipping, great customer service, and providing quality products to all of us. 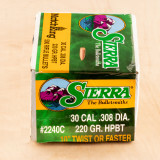 If you use the .243 Winchester for target shooting and competitions, load your ammunition with these high-quality 107-grain bullets from Sierra. 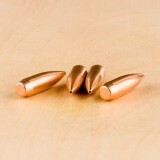 You’ll get outstanding performance from .243-inch diameter bullets that are reliable and effective, giving you an excellent combination of accuracy and knock-down power. 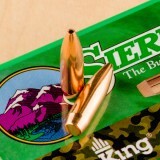 When you want to deliver the right performance to your match competitions, reload your cases with these Sierra MatchKing bullets. 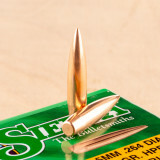 These bullets have a hollow point boat tail design that results in outstanding flight trajectories and terminal ballistics. 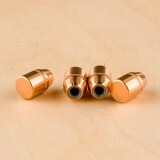 They will feed smoothly through the chamber and give less fouling in the barrel. 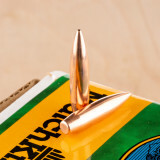 The boat tail will increase the straightness of flight patterns while the hollow point will deliver controlled, consistent expansion at the target. 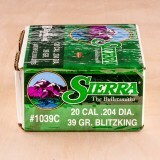 Sierra is one of the most reliable companies for ammunition and bullets. 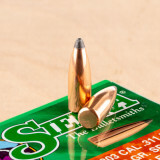 Founded in California, this company has a long-established reputation for precision and reliability. 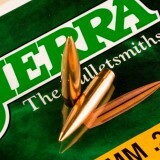 For over 60 years, Sierra has created excellent bullets for the field, home, and range. 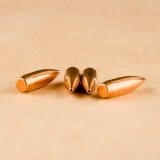 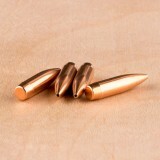 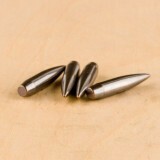 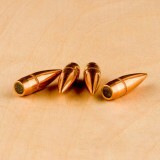 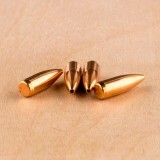 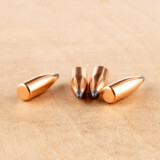 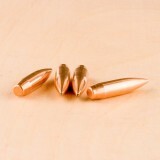 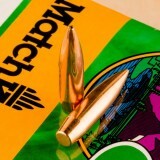 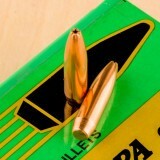 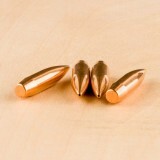 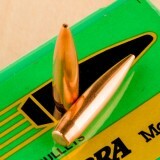 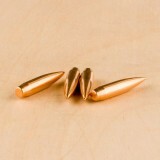 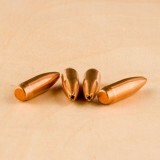 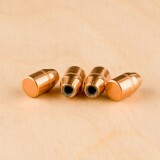 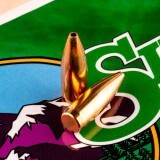 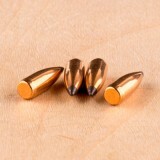 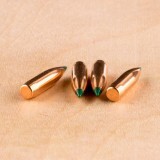 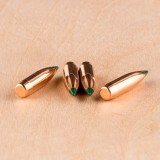 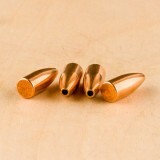 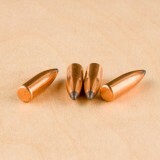 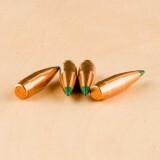 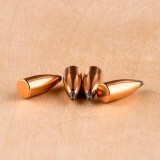 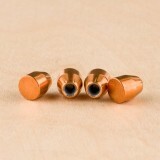 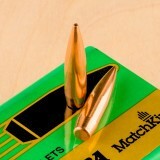 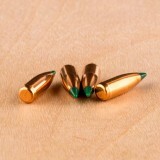 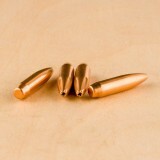 You deserve the finest bullets for your .223 Remington cases, especially the ones you will use in match competitions. 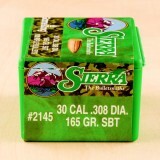 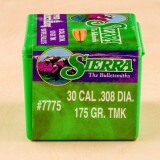 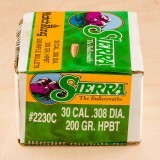 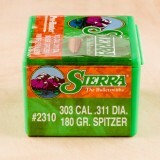 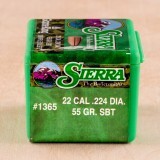 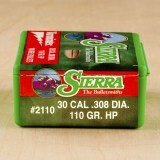 That’s why you need this 100-count box from Sierra. 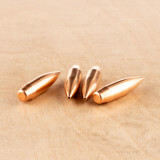 You’ll get 77-grain polymer tip bullets that are designed to provide a combination of accuracy and terminal ballistics, resulting in outstanding performance from the firearm to the target. 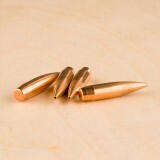 These .224-inch diameter bullets are built with a polymer tip that helps the bullet maintain accuracy during flight without overly diminishing expansion upon impact. 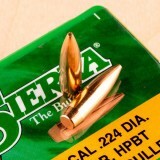 While these bullets have been used for varmint hunting, Sierra strongly recommends them for competition shooting. 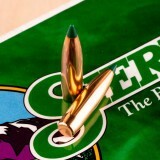 With reduced drag and excellent ballistic coefficients, these bullets deliver consistency at the range. 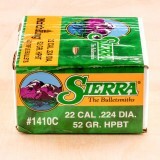 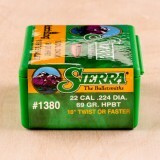 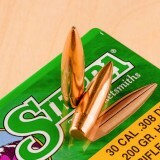 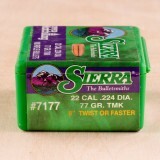 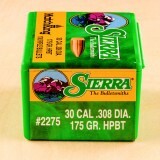 While this type of bullet was introduced in 2015, Sierra’s reputation for quality dates back over 60 years. 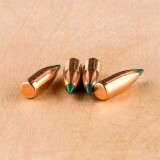 The manufacturer, which was founded in California but is now based in Missouri, has a wide range of reloading bullets for many different calibers and purposes. 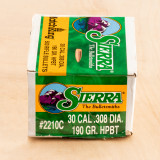 If participate in elite-level shooting competitions with a .223 Remington, give yourself the best chance at success by loading your cartridges with these 80-grain bullets from Sierra. 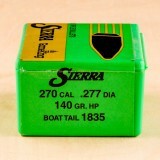 With this box, you’ll have 50 hollow point boat tail bullets that are perfect for high-volume target shooting, as they give supreme accuracy, excellent power, and outstanding consistency. 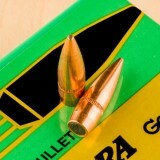 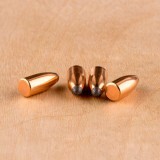 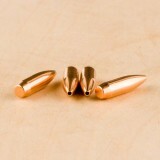 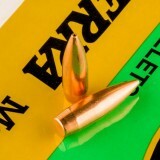 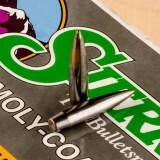 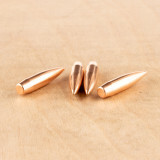 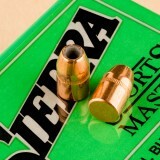 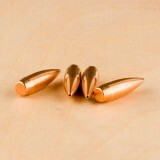 These bullets will help your cartridges feed smoothly into the chamber. 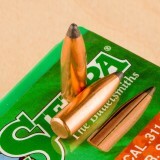 Down the barrel, you’ll have less fouling thanks to the high-quality jacket. 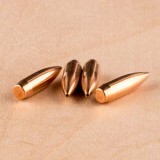 When they reach the target, the hollow point tip, backed by the larger 80-grain profile, will ensure outstanding terminal ballistics. 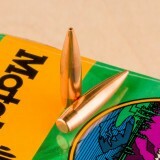 These bullets are world-renowned for record-setting accuracy, so order your supply today! 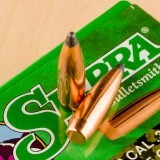 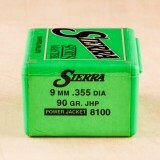 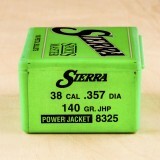 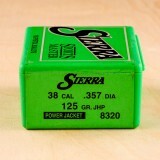 Sierra is one of the most popular brands in ammunition. 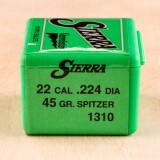 This company was founded in 1947 in California, serving the needs of American gun owners all across the country. 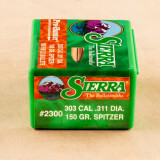 Now based in Missouri, Sierra continues their tradition of quality and precision to this day. 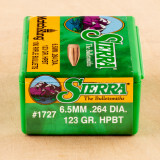 Give your 6.5mm Grendel cartridges outstanding performance for your competition matches by loading them with reliable .264" bullets from Sierra. 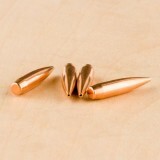 These 123-grain MatchKing projectiles have a hollow point boat tail design, resulting in superior terminal ballistic performance with enhanced accuracy. 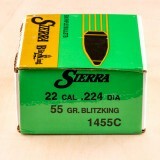 These .264-inch diameter bullets are perfect for your 6.5mm Grendel rounds, so order this 100-count box today. 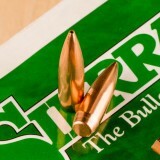 Sierra created these bullets for outstanding performance in distance competitions, so they gave the projectiles a small meplat and a longer ogive, as well as an enhanced boat tail for superior aerodynamics. 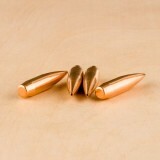 These bullets will cycle smoothly and give your rifle cartridges outstanding performance at the target range. 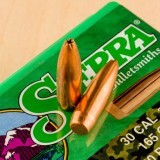 Sierra is a leading company in the ammunition reloading industry, creating items for hunting, target shooting, and self defense. 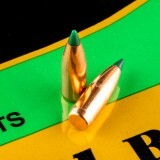 Since 1947, this manufacturer has been providing high-quality projectiles for a wide range of calibers. 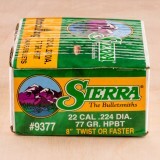 When it comes to meticulous precision, few ammo companies can match the quality of Sierra.